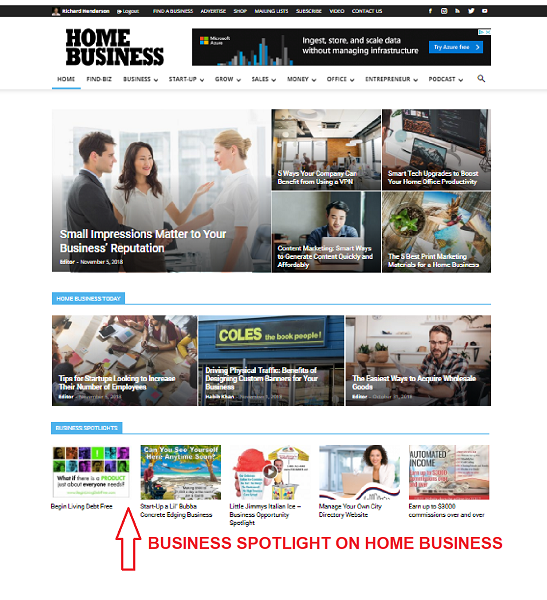 Post your content as a Business Spotlight on Home Business, with maximum HOME PAGE visibility and throughout website. A Business Spotlight can be either an article post or video. Can include One Do-Follow Link. Business Spotlights have the same look, format and appearance as other content within Home Business. After end of duration purchased, your Business Spotlight post will stay on the website for at least ONE YEAR. Business Spotlight also receives social media promotions! 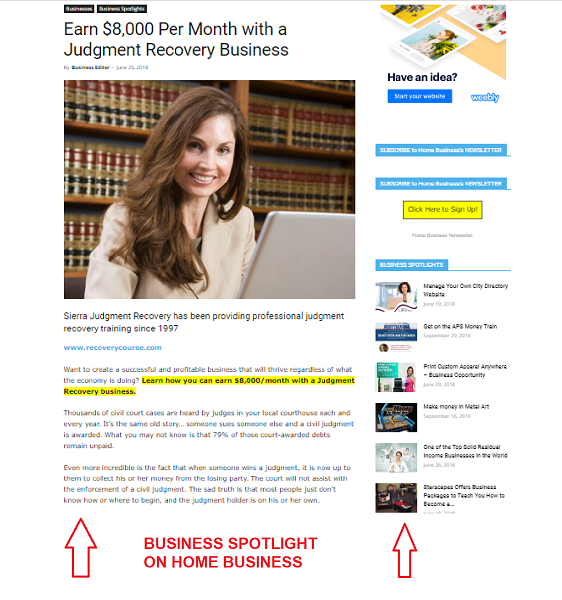 Business Spotlight Material: For an article, email your editorial with any images to editor@homebusinessmag.com. For a Video post, email a link to your YouTube or Vimeo video; along with any text to accompany the video.